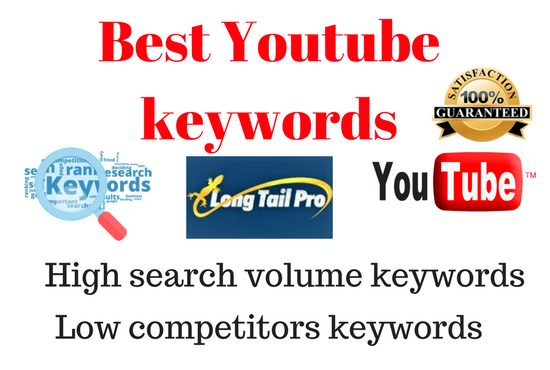 ******Do Youtube keyword research for your Youtube videos******Hey, Do you have any Youtube channel, and want to viral your channel/video then keyword is the most important to rank up your channel/videos. Especially for youtube videos. if you don't find those kinds of keywords, Don't worry i will help you to find out those kinds of keywords.Here some important, if you use those keywords what i will provide, you don't need to buy any Subscriber. Because your subscriber increase Automatic. What will you get from my service? @I will give your niche relevant some keywords which actually people search in the youtube/google.